So this month I invited the lovely Nykole of Confessions of Nykole to write for us. Nykole focuses on lifestyle, beauty and travel (the element I was particularly interested in), after recently holidaying in Morocco she has provided us with her Top Picks for Marrakesh! Nykole is also visiting Paris and Mexico later this year so check her out! “Wow. This has got to be one of my favourite countries I have visited. It is such a culture shock being in a Muslim country where women and men sit and talk behind bushes and never walk together, but it’s amazing to see the differences in cultures and beliefs, it really opens your eyes to the wider world! It’s so easy to forget how relaxed we have it in a Western country. I was lucky enough to stay in the 5 star Resort, ClubHotel Riu Tikida Pameraie, which is one of the best selling hotels for First Choice Holidays! 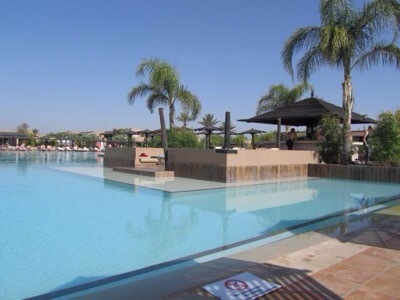 We chose this particular resort as we were advised of great temperatures and for only £500 it seemed a steal, but it soon became so much more. 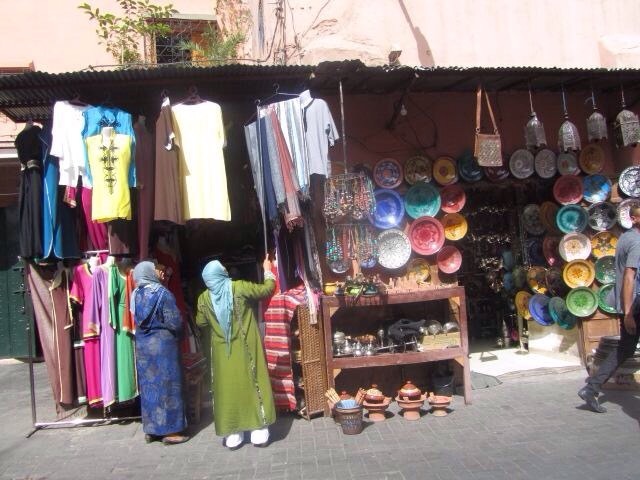 We decided to take a guided excursion to Marrakech market costing roughly £30 each (about 600 dirhams). The hotel provided a free shuttle bus to the market and back but we were not brave enough to take this alone! It was madness. They were snake charmers, monkeys, thousands of market stalls, horses, bikes and crowds of people! It’s not for the faint hearted, I warn you. But there is nothing quite like the buzz and in the scorching heat it beats a busy London market. However, you must be careful and make sure you are firm with the market sellers, don’t be afraid to say no and walk away. Be aware of scams whilst in the market, the people with monkeys source out tourists, they place the monkey on your shoulder, invite you to take a photo and then charge you after, steer clear of these. My top tip is to find the nearest bar, settle with a cocktail and watch the buzzing market from afar. The tastes Morocco are simply out of this world. The Tagene, the Cous Cous, it’s just flavors upon flavors! 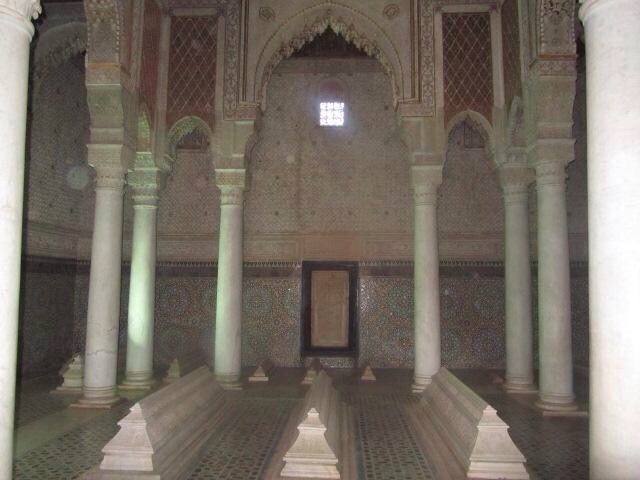 There are many Riads throughout Morocco, these are places to eat, drink and be entertained. The Riad I visited was under Marrakech market and it was like a hidden palace. There is such a contrast between the dusty streets compared to these beautiful places! Everyone sits on large cushions on the floor and even though this does make it a little less civilized to eat then us Brits might like, it is very relaxing. After the end of every meal you are served warm mint tea to aid bloating and cleanse your stomach and this may not look appetizing but it is so refreshing and helps after a big meal, I wish I had brought some home with me. My guided tour arranged by First Choice to various ruins; these included a University from the 1500’s, a palace with 14 bedrooms for all the kings wives and several temples. I was fascinated, it was remarkable to hear the stories behind such beautiful buildings. I had a brilliant Moroccan tour guide who fought his way through the stray cats for us and doubled up as our personal photographer for the day. 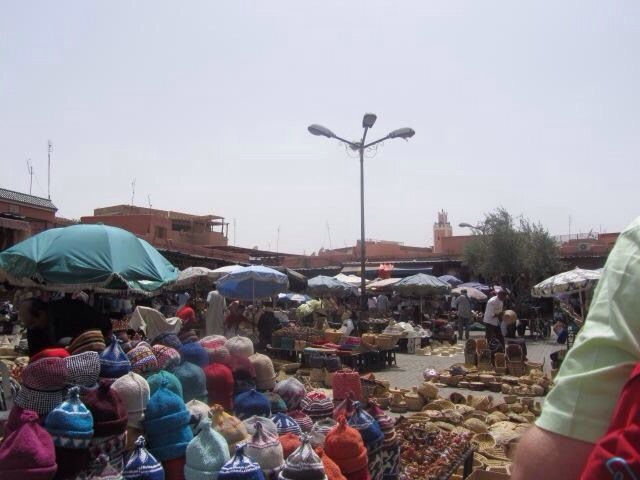 Whether it’s at the Local Markets, Marrakech Market or the Hotel Gift Shops you’ll find some fabulous nik naks to bring home with you, all the items in Morocco are authentic and handmade and there really are some beautiful purchases to be had here and of course you have to buy yourself a Fez! The markets may seem daunting and there is a lot of haggling that goes on but I found always to give your first offer at about half the price that you are willing to pay and always try to give exact money as they often do not have any change on them. Unfortunately, I did not manage to buy as much as I would have liked at the market but thankfully the hotel had some lovely items, such as bracelets, wax candle holders and purses, and even though these were slightly more expensive than the market, no haggling was involved! In Morocco there are many luxury resorts at surprisingly affordable prices. I would say that the star rating of hotels are the equivalent to a one star below their actual rating for us here in the UK. Therefore, I would recommend staying in a resort one above your usual UK requirements. My hotel was beautiful, it was luxury and like something you would expect to see in a Bond movie or an episode of Made In Chelsea, with champagne and salmon for breakfast, cocktails brought to your sun lounger and indoor napping areas. Admittedly we rarely left the hotel complex at it is not advised to venture far from the hotel alone as everything is so spread out. The only thing for miles outside our hotel was a taxi rank and a field of camels, which was interesting. However, the hotel was large enough and had enough activities that this did not matter. If you liked Nykole’s article be sure to check her out over at Confessions of Nykole. Marrakesh is somewhere I would definitely like to travel to one day. That pool looks so inviting. So now I have another place in the world I need to add to the list haha! Marrakech sounds so interesting! Great read.